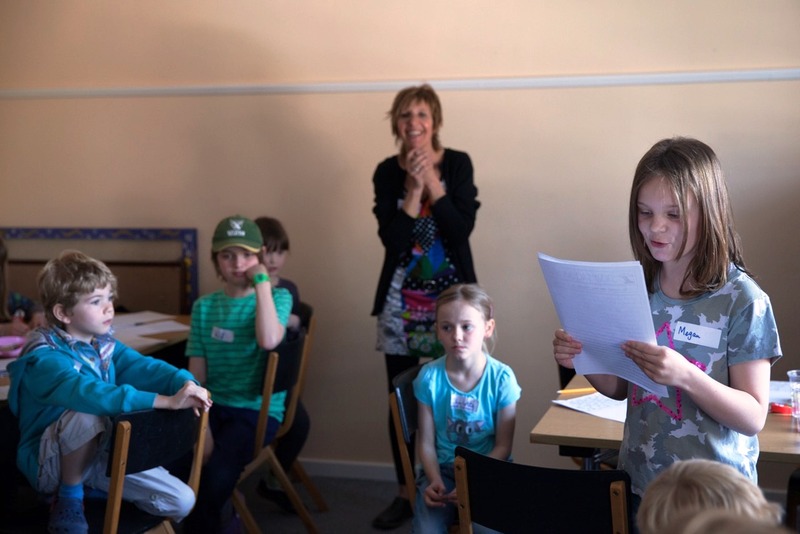 On 9th April, Chichester Copywriter’s Katy Lassetter and, writer and PR consultant, Vicky Edwards invited children to let their imaginations fly once again at Story Factory Chichester. 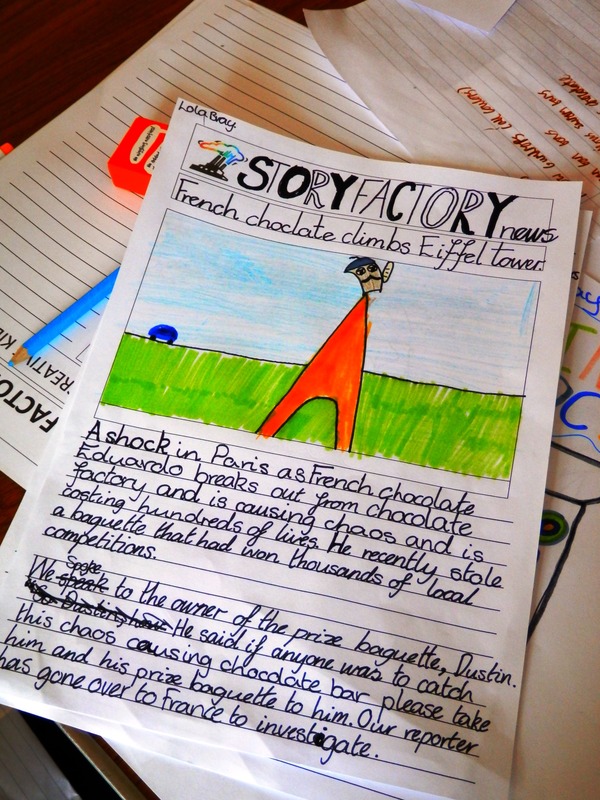 Aimed at helping children to unleash their imaginations by exploring creative writing, storytelling, art and music, the second Story Factory Chichester workshop was crammed with creativity and the theme for the day was Hold the Front Page… Choc Shock! 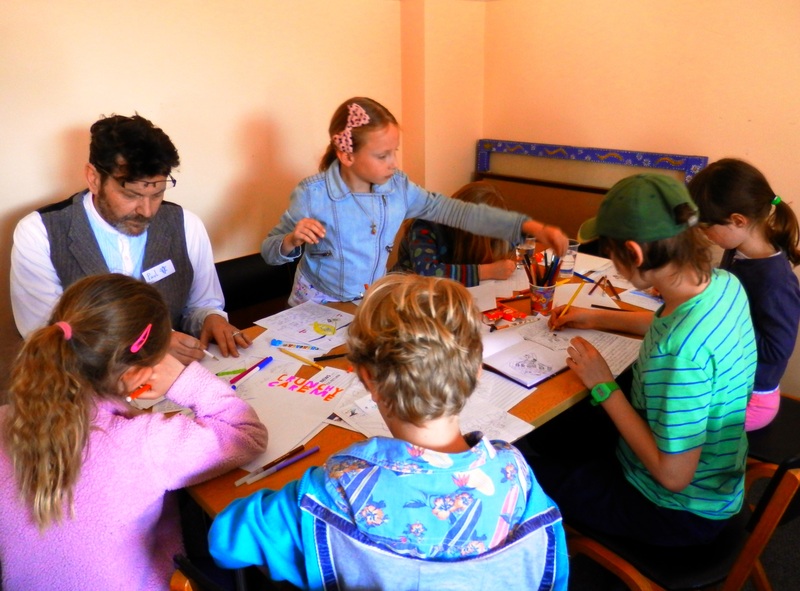 When Forest Gump likened life to a box of chocolates it was a wonderful metaphor for the joy and variety of creativity that a group of 32 children aged between seven and eleven-years-old can achieve in one day at Story Factory. 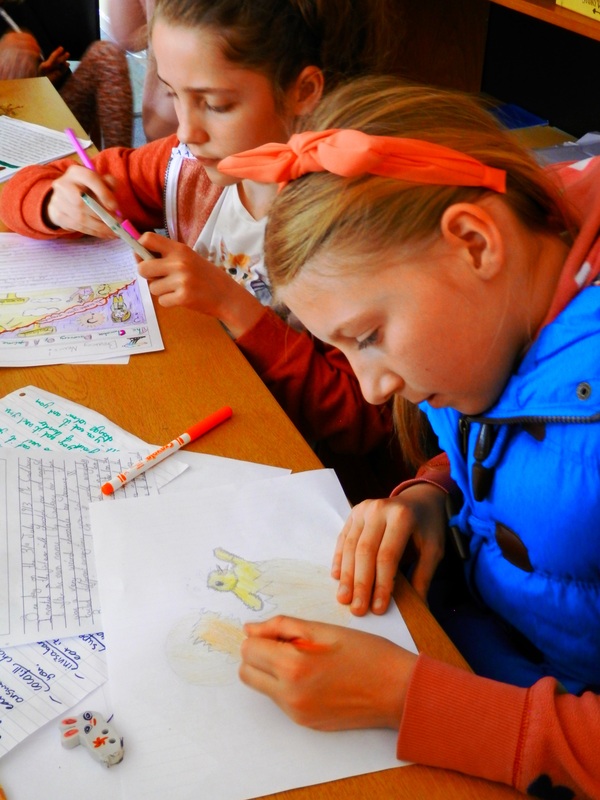 The day was chock-a-block with wonderful stories, drawings and songs dreamt up by boys and girls from 17 different primary schools right across West Sussex. 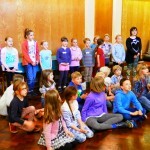 What did the creative workshop involve? To set the tone, Dawn Shrives from Le Salon du Chocolat talked to the children about the history of chocolate as well as how she makes it. The children also watched a video of Gary Shipton, Editor in Chief of Sussex Newspapers, sharing tips on how to write stories for newspapers. 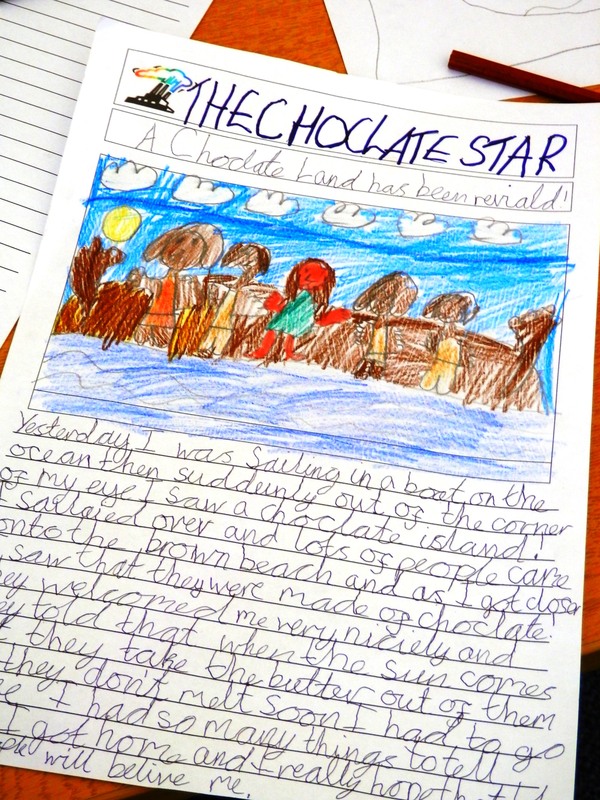 With the help of award-winning children’s author Becky Edwards and designer and graphic artist Paul Fuller, the children wrote and illustrated their own chocolate-themed news stories. In the afternoon, interactive story practitioners Mary Atkinson and Sandra Hooper taught the children the basics of story massage. 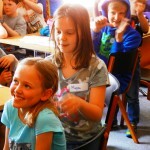 They used the story of Charlie and the Chocolate Factory to demonstrate the moves and technique and the children communicated the Roald Dahl classic to one another. 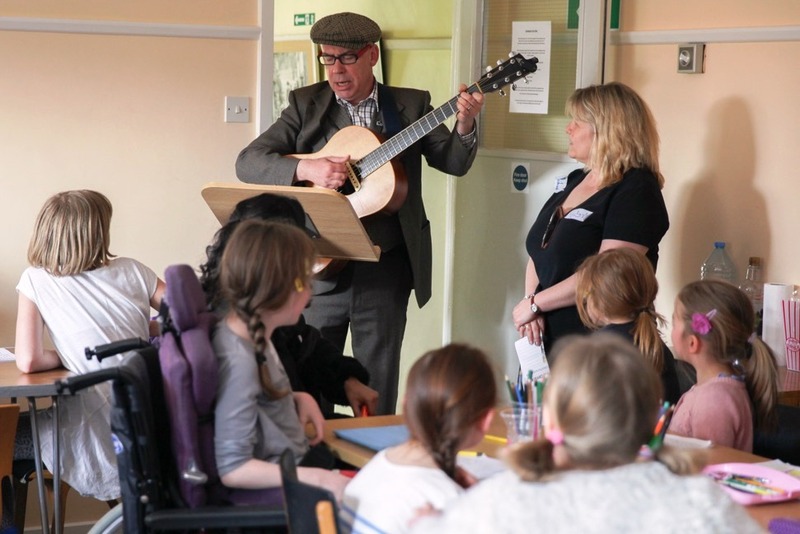 Music practitioner Mike Fry was challenged to write a song that included something from every child’s story – a task he rose to magnificently! The day concluded with the children performing Mike’s song with story massage actions and receiving certificates and goody bags from Paperchase. 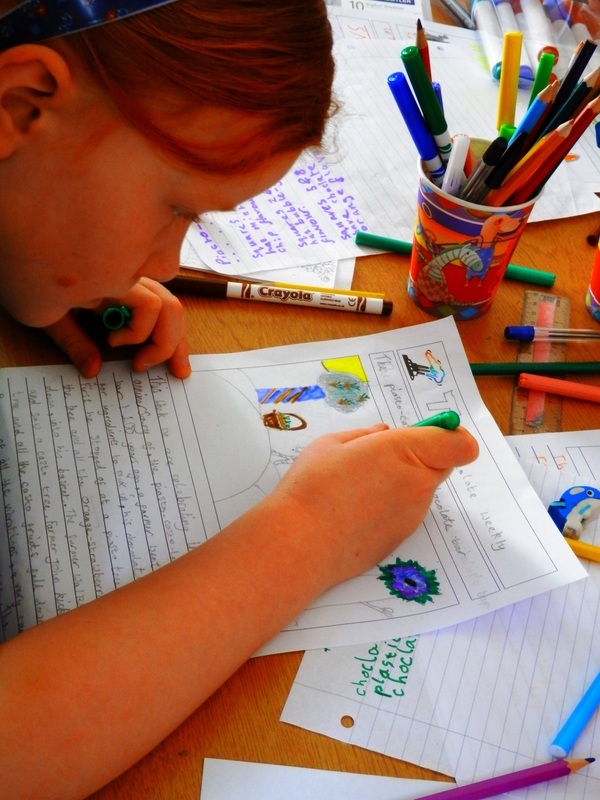 “The standard of work was incredible and the ideas that the children came up with were fabulous. We heard everything from the Easter Bunny being sentenced to community service for stealing Easter eggs to the discovery that the moon is made of chocolate and a chocolate drama on top of the Eiffel Tower. 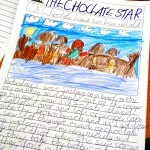 The children also came up with ideas for names, ingredients and designs for brand new chocolate bars. 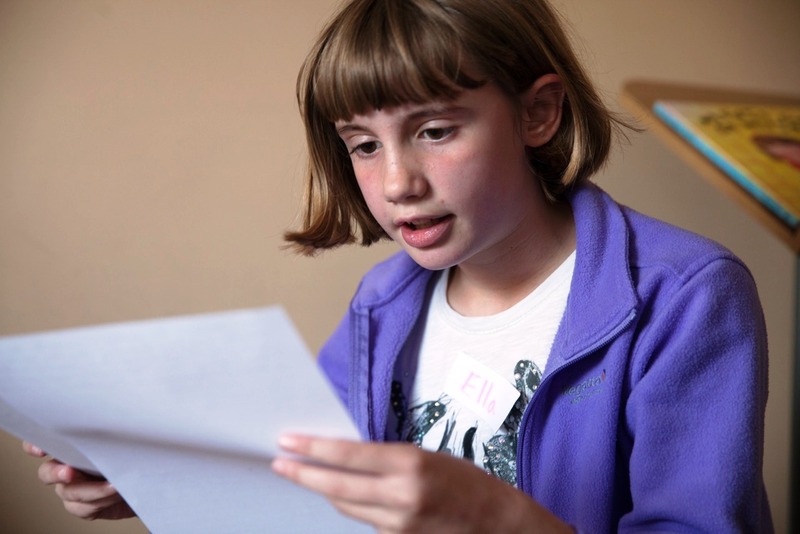 “Hattie liked everything as it was.” Sarah Middleton, mother of Hattie aged six-years-old. “Chocolicious day! Jonah had a smashing time and even demonstrated his story massage skills on my shoulders later in the day. I call that a fine outcome! 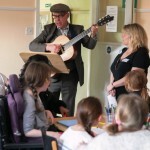 There was enough free creativity to ensure a child that has a pretty loose grasp on spelling did not feel remotely inadequate at weaving tales as he could express his story pictorially, musically ,dramatically or literally as he wished. 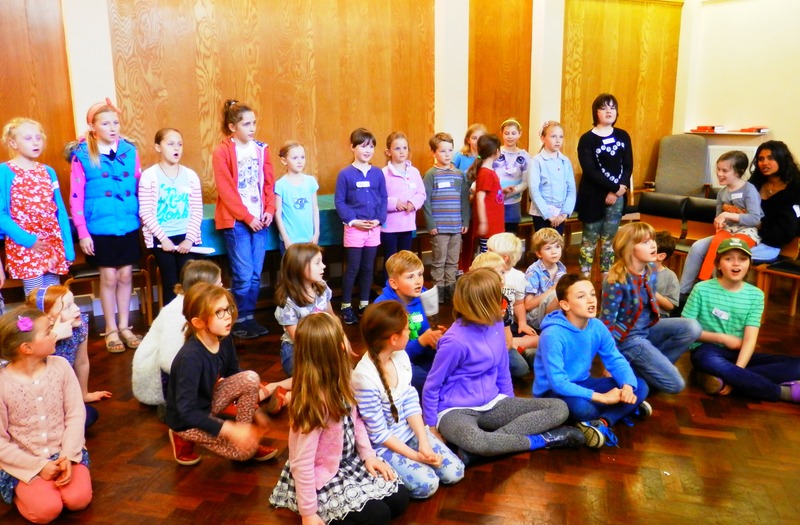 The children were a lovely range of ages and were met on their own individual levels. “All in all, a great success. 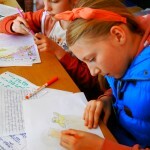 My daughter loved the workshop and looks forward to the next one.” Mother of a ten-year-old girl. Read more about the first Story Factory Chichester here. 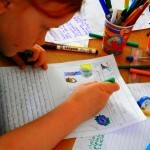 To find out more about the idea behind Story Factory Chichester and details of future workshops please contact Chichester Copywriter’s Katy and she will fill you in. 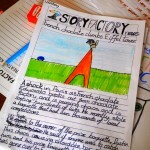 This entry was posted in Chichester Copywriter at Work & Play, Chichester Copywriter gets Creative, Chichester Copywriter News, Chichester Copywriter's Writers' Retreats, Literature Events, Story Factory Chichester and tagged award-winning children’s author, Becky Edwards, Charlie and the Chocolate Factory, Chichester Copywriter, children wrote, child’s story, creative workshop, Forest Gump, Gary Shipton, how to write stories, JSPC Computer Services, Katy Lassetter, Le Salon du Chocolat, Mary Atkinson, Mike Fry, Paperchase, Paul Fuller, PR consultant, Roald Dahl, Sandra Hooper, Story Factory Chichester, story massage, Sussex Newspapers, Vicky Edwards.. Bookmark the permalink. ← A Mermaid in Sussex?! 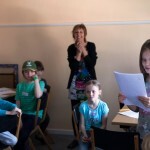 2 Responses to Story Factory Chichester: a veritable chocolate-box!